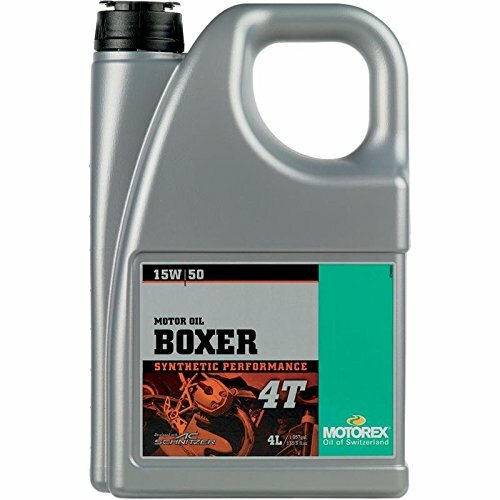 superduke forum • View topic - Motorex Boxer Oil? Has anyone tried this oil? Recommended by members of the SDR group in Faceboox to reduce oil consumption. I dont think it has anything to do with the fact its for boxers but maybe because its a thicker oil? My Motorex rep recommended me 10w|50 for so cal and this is 15W|50. I'm not an oil expert at all though, so who knows. The 15W just means it will be thicker when cold, which is when you don't want it to be thicker, although it may help with cold engine rattles. It might also help to close up ring gaps when cold and reduce oil burning then. Closing the gap between the cold and hot viscosity numbers is a good thing because it should mean less VI modifiers have been used, so the oil may stay in grade for longer. There will however be less flow when cold, and/or it will bypass the filter for longer, both of which are bad things. Just doing a little oil shopping and that boxer stuff is priced well compared to others in the range. I'm probably gonna stick with Silkolene Pro 4 though. RichUK wrote: The 15W just means it will be thicker when cold, which is when you don't want it to be thicker, although it may help with cold engine rattles. Living in Florida though it is considerably warmer and probably not so much of an issue. In older vehicle here in Oz I always run 20w-50 as anything finer usually increases consumption. Would I run it in the SD? Probabaly after 50k miles.